The monthly challenge for January is an appropriate subject matter for this time of year – namely “Ice & Snow”. You are asked to send in between 5 and 8 images that provide your interpretation of this theme. While we will readily accept some images from the recent ice storm, we have decided to limit those to a maximum of 3 so that we can actually have you out there with your camera during the interim to take some new and creative photos. You all know the sizing, file-naming and watermarking criteria by now. We'd appreciate receiving your entries by Monday, Jan 27th and they will be included in the member slideshow for our next meeting on Sunday Feb 2nd. 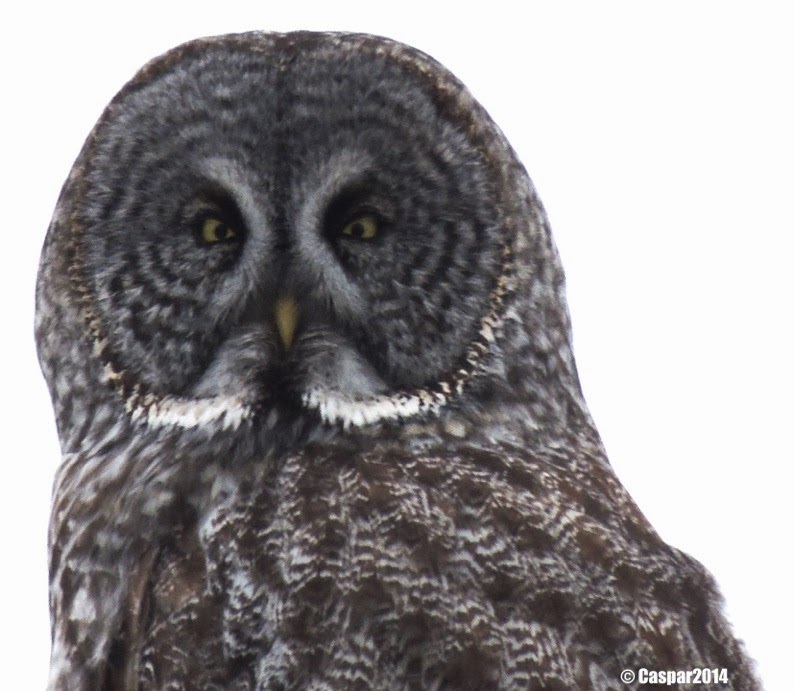 We are also planning a club photoshoot outing for Sunday, January 19th at Macaulay Conservation Area. We will meet at the Macaulay House parking lot on Church Street (Picton) at 1:30pm and will limit our excursion to the lower trails of the conservation area and surrounding area/buildings. Please bring appropriate apparel for the expected weather conditions. We look forward to seeing many of you next Sunday. On Christmas Day, I was fortunate enough to catch sight of this red-bellied woodpecker looking for his festive meal on an old maple tree in front of our house. He was at the northern edge of his territory as he usually stays south of the border. Not sure where this species gets their name from as they have just a hint of red on their bellies! 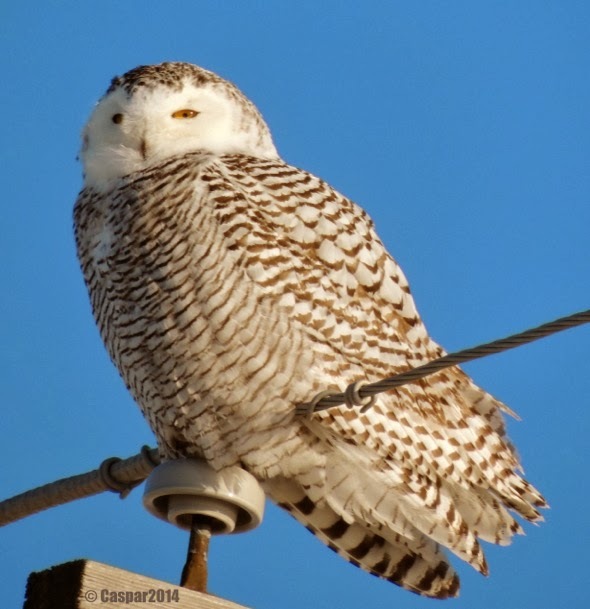 On Dec 30th, Caspar Radden spotted this snowy owl in Wellington - probably enjoying the ice and snow that has brought our area to a near standstill. 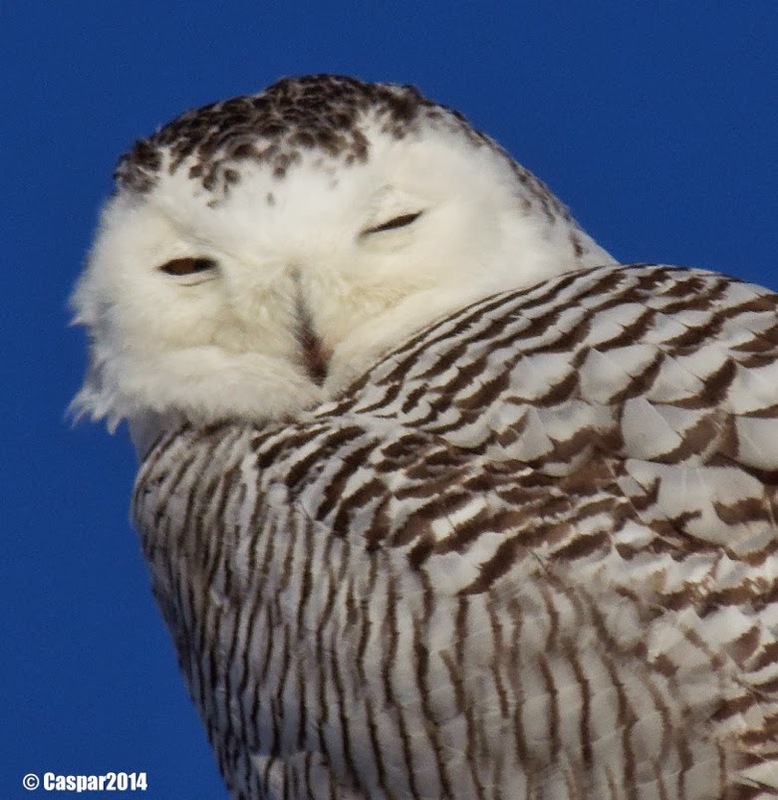 Apparently due to an abundance of food, the snowies are quite numerous this year. I'm still waiting for my first sighting though! 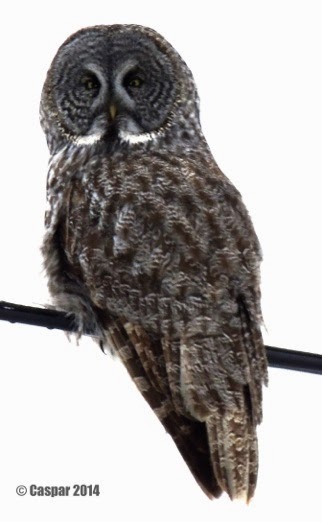 Caspar also caught this Great Gray Owl a few days ago sitting on a wire between Bloomfield and Wellington. Our eagle-eyed photographer rarely misses such an opportunity!